Round gold & green occasional / side table for luxe living style home decor. Perfect for the modern, contemporary living room. 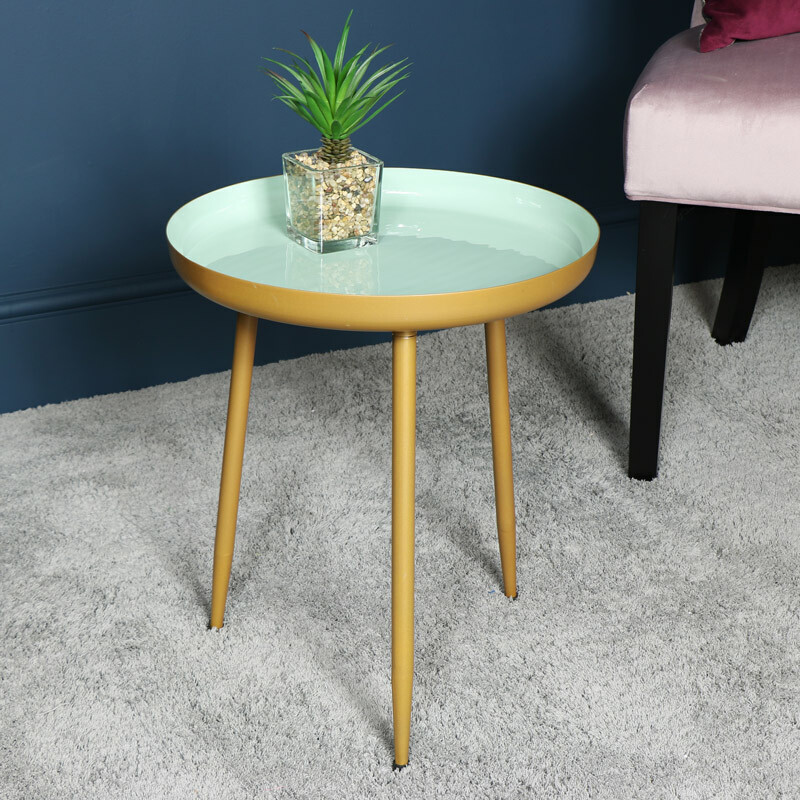 Dish style table top with enamelled green top and gold edge and tripod style legs. Use as a stalish end of coffee table. Sturdy and practical design that will add fresh look to any interior. Round gold & green occasional / side table for luxe living style home decor. Perfect for the modern, contemporary living room. 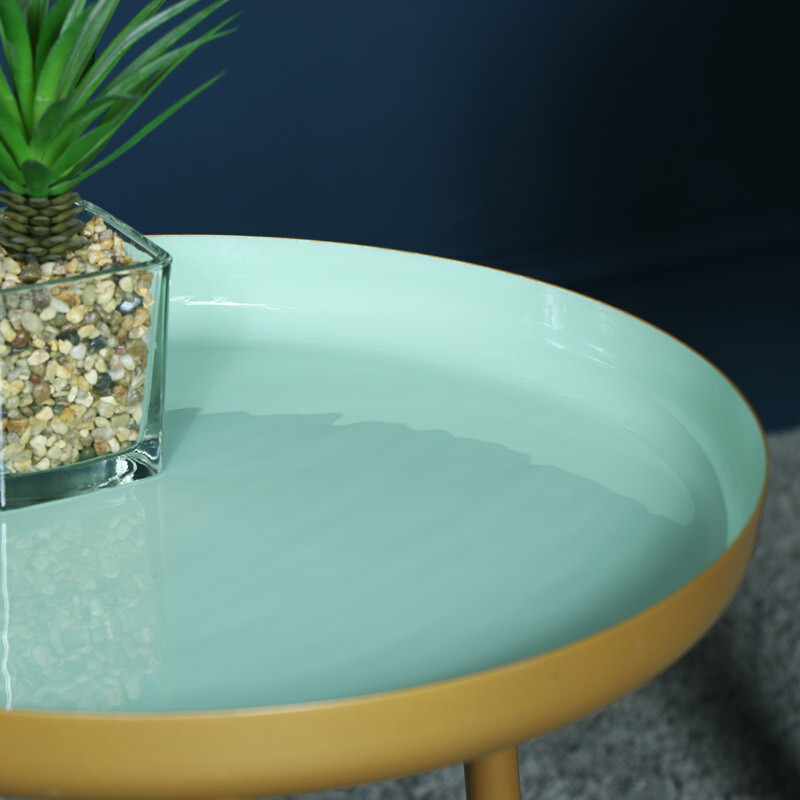 Dish style table top with enamelled green top and gold edge and tripod style legs. Use as a stalish end of coffee table. Sturdy and practical design that will add fresh look to any interior. 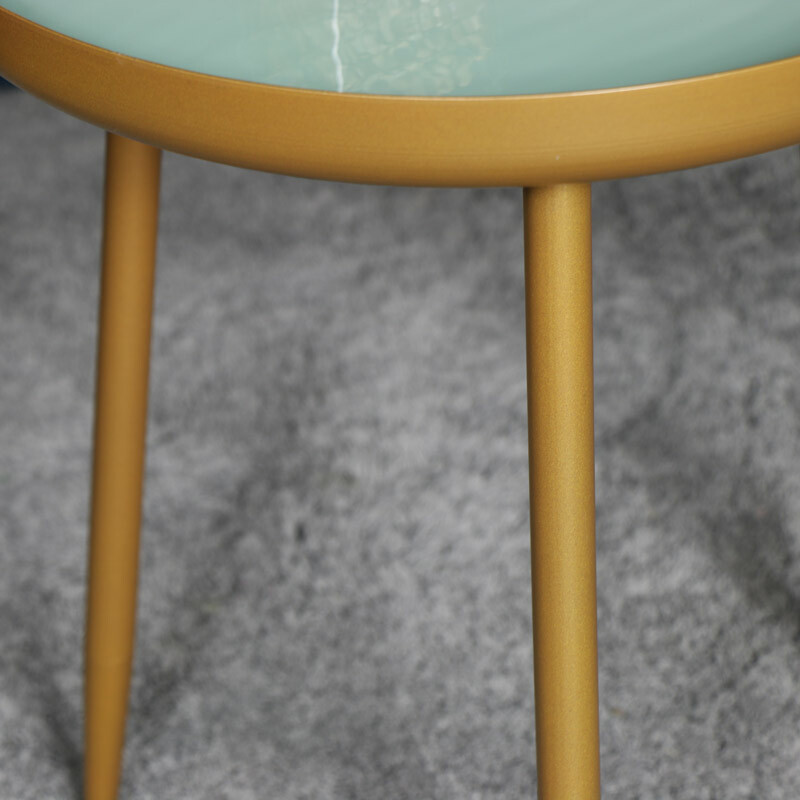 Made from metal and painted in a gold finish with mint/sage green finish on the table top. Minimal assembly is required with the legs to be screwed into the table top, quick and easy to do in less than 5 minutes.